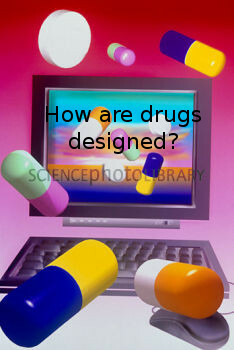 How are drugs designed? 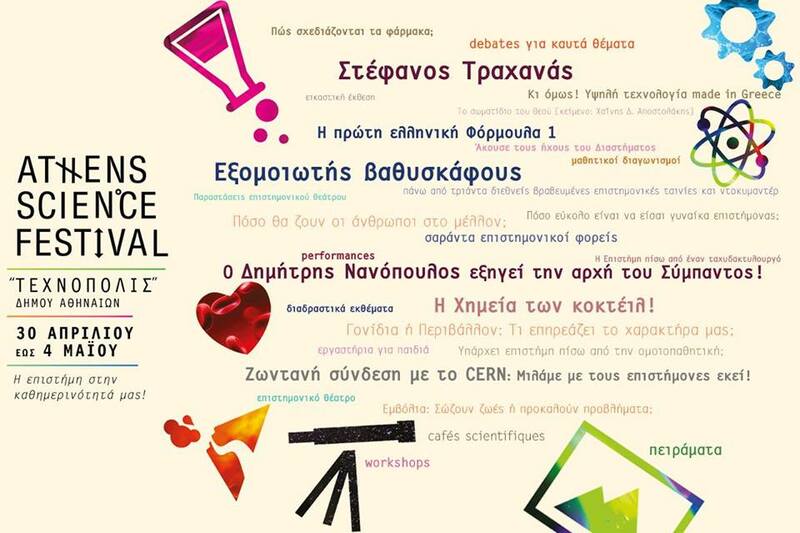 Come on Friday 2nd May at 18:00 at the Athens Science Festival, Technopolis Gkazi to listen to my talk! 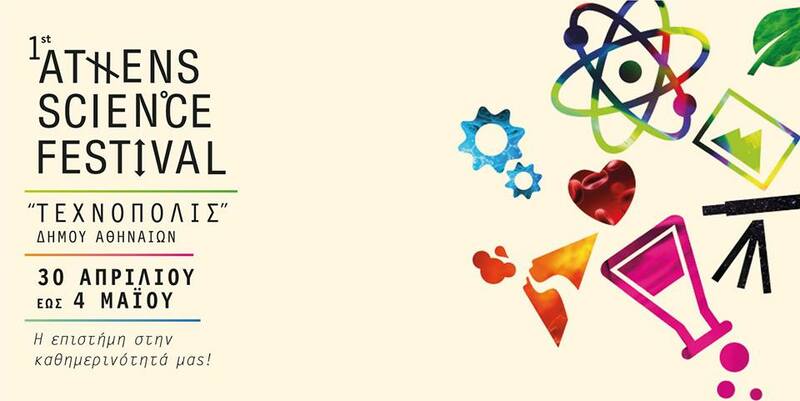 See the detailed program of the festival here. This talk will address how drugs are designed to combat a disease – from the discovery of the cause of the disease (e.g. a mutant protein), specialized techniques for the design of small chemical molecules (that are drugs), to clinical trials. We will also discuss advances and progresses in individualized treatment (also known as personalized medicine), i.e. how DNA testing could help each patient receive medication specifically tailored for them. Πώς σχεδιάζονται τα φάρμακα; Ελάτε την Παρασκευή 2 Μαϊου στις 18:00 στο Athens Science Festival, Τεχνοπολις Γκάζι, να ακούσετε την ομιλία μου. Η ομιλία έχει θέμα το πώς επιτελείται ο σχεδιασμός φαρμάκων για μία ασθένεια – από την ανακάλυψη του αιτίου που προκαλεί την ασθένεια (π.χ. μια μεταλλαγμένη πρωτεΐνη), εξειδικευμένες τεχνικές για το σχεδιασμό μικρών χημικών μορίων που αποτελούν τα φάρμακα, μεχρι και τις κλινικές δοκιμές. Επίσης θα συζητήσουμε τις προοπτικές και εξελίξεις στην εξατομικευμένη θεραπεία, το πώς δηλαδή με εξέταση DNA μπορεί ο κάθε ασθενής να λαμβάνει ένα φάρμακο που είναι ειδικά κατάλληλο για εκείνον. Περισσότερες πληροφορίες και μία μικρή περίληψη για το θέμα θα βρείτε σε πρόσφατο άρθρο στην ιστοσελίδα της διοργάνωσης. Posted on April 30, 2014, in chemistry and everyday life, chemistry in everyday life, computational chemistry, drugs and tagged drug design. Bookmark the permalink. 17 Comments. I’d personally say no.. Diet pills will do the job for that shorter volume of time, but as soon as you halt having them, the slimming gel goes to return again. My sister fell into the diet pill craze, expended a huge amount of income, and was skinny for the although, but is now again to exactly where she begun (furthermore some). Stick with maintaining a healthy diet and physical exercise. It really is actually the sole legitimate way. Uniform convergence implies pointwise convergence, which in turn implies pointwise almost everywhere convergence. Definition 16 (Locally uniform convergence) A sequence of functions converges locally uniformly to a limit if, for every bounded subset of , converges uniformly to on . In other words, for every bounded and every , there exists such that for all and . are possible many situations as can be wish specially in chenistry or pharma with medicine observed prof dr mircea orasanu and prof drd horia orasanu as followed vademecum medical and analytical mechanics that have not meet in IOP Physics Bristol or in valachia university but meet in Louis university where work prof dr mircea orasanu 1 serves as a means to introduce many of the topics discussed within this thesis. We begin with a discussion on the importance of ruthenium and osmium based metal complexes in supramolecular chemistry and their properties, electronic, photophysical and photochemical, which have attracted great interest over the last 40 years. We then examine the “parent” complexes of many of the compounds synthesized in this thesis, [Ru(bpy)3]2+and [Os(bpy)3]2+ and their importance to the area of inorganic chemistry is highlighted. We continue with a discussion on the primary concern of this thesis, the controlled synthesis of supramolecular species using homo- and hetero- coupling reactions such as, Suzuki and Ni(0) cross-coupling. From this view point we look at the types of synthetic techniques As chemistry has developed over the centuries from the science of matter and its transformations, to the science of communications centers and a relay between simple and complex molecules, it is been defined by its interdisciplinary relationships. For more than 150 years chemistry has developed a vast library of sophisticated and powerful approaches for the construction of increasingly complex molecular structures by forming and breaking covalent bonds between atoms in a controlled manner. The definition of supramolecular chemistry has evolved since its conception by J. M Lehn in 1978, but today it is defined as “the chemistry beyond the molecule” and deals with organized entities of higher complexity that results from the association of two or more chemical species held together by interactive forces. 1, , This definition is very generous and covers a broad area of chemical phenomena and structures, and extends to biological systems, coordination chemistry and new materials. Having said this, the objective of supramolecular chemistry is very specific in its creation of “supramolecular species” which are characterized by both the definite spatial arrangement of the individual components and by the nature of the interaction of the intermolecular bonds that hold these components together. In order to achieve these criteria specific component units must be utilized within the supramolecular aggregate. This type of system is quite different to a large molecule, as it will not just be a supposition of the individual component units, as shown in figure 1.1, but new intercomponent interactions will also arise from the linking of these individual units. In this example, if compound D~A is radiated with light and one of its subunits (D or A) is excited rather than the whole molecule, it can be classed as a supramolecular species. For the system shown above, regardless of whether D or A is excited, the supramolecular system has two option: (1) It may relax back to the ground state (energy dissipated as light/heat) or (2) charge transfer may occur, in which case D+~A- is formed. Charge recombination usually occurs very quickly unless a quenching molecule is present to oxidize/reduce the charge separated species D+~A-. The fundamental difference that lies between supramolecules and large molecules is the level of interaction between the intercomponent subunits. For a large molecule, charge and excitational energy are delocalized throughout the whole system whereas for a supramolecular species, charge and energy are localized on one of the molecular subunits.